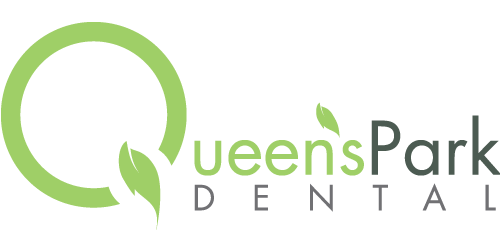 Implant Retained Dentures– dental implants or root replacements are placed into the jaw bone which become anchors so that a denture may attach to them. This will eliminate LOOSE dentures and will provide stability, increased chewing strength, preserve bone, reduce tissue irritation, and improve confidence. 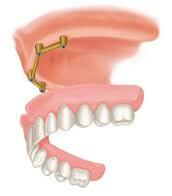 Depending on the individual, anywhere from 2 or more dental implants are required to anchor a denture in your mouth. An implant retained denture is used when a patient does not have any teeth but has enough bone mass and quality to place implants. Most common on the bottom jaw because complete lower dentures (CLD) have less stability and often move quite frequently. Complete upper dentures (CUD) have more stability as they use the roof of the mouth for suction and move or rotate less frequently. However, CUDs can be implant retained. Ball-Retained Implant Denture– two or more dental implants will have a ball shape attachment (male part) that fits into the sockets (female part) of the corresponding denture. The denture can be placed in and out of the mouth by the patient. 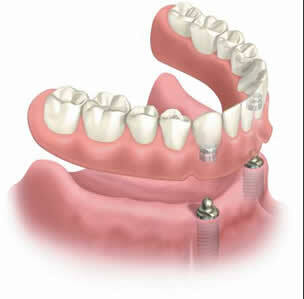 Bar-Retained Implant Denture– a metal bar, custom made to the shape of your jaw, is attached to 2 or more implants. The denture then clips in, or may have another type of attachment, to the bar. Again, this can be placed in and out of the mouth by the patient.